As the nights start to draw in after the Summer Solstice, our traffic starts to grow, modestly at first. Then Autumn officially starts; the first evening chill, then the first dustings of snow on the mountains and our traffic surges towards the new season. A new season where every day Winterhighland will again reach thousands of individuals, the life blood of the nation's Snow and Mountain sports industry. Winterhighland is hosted on a new solid state drive, state of the art dynamically scalable cloud hosting platform with United Hosting: A premium hosting company renowned for robust hosting solutions, so whatever mother nature throws at Highland Scotland, Winterhighland can dynamically scale to meet the resultant web traffic demand. This allows for new opportunities on Winterhighland, including the NEW Winterhighland Directory for the 2013/14 Season. or call 0845 625 1973 for further info and to discuss advertising and sponsorship opportunities with Winterhighland for the season ahead. Medium Rectangle (300px by 250px). See our Media Kit and Rate Card [Print Friendly] for further info. Sponsorship opportunities exist across Winterhighland for the upcoming winter season ranging from a week long exclusive buyout of front page ad space, through seasonal sponsorship of major sections and our webcams provide an excellent promotional opportunity, see below. We can be flexible, got an idea please talk to us about it. 2 weeks exclusive front page Medium Rectangle advert, dates of your choice subject to availability. 1 week exclusive front page Super Skyscraper (300px wide by 600px high). 100,000 Medium Rectangle Impressions plus, 100,000 Sky Scraper or Leaderboard Impressions. Medium Rectangle and Leaderboard advert units maybe run of site, geographically (by snowsport areas) or content targeted. Directory entry for area of your choice. ALL this for �900(saving of over �700 on individual rate card price). A unique sponsorship opportunity - each season Winterhighland's own webcams at CairnGorm, Aviemore, Nevis Range and Glencoe are viewed millions of times! 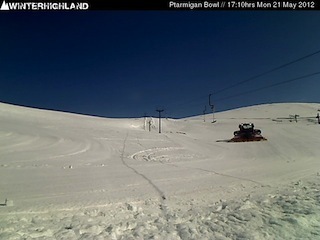 Winterhighland continues to invest in and expand our webcam network, providing a unique partnership opportunity, supporting the creation of a unique national network of high quality high mountain web cams and integrated automatic weather stations providing unique real time online mountain experience. 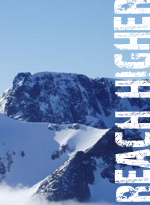 Of interest not just to skiers, boarders, climbers, winter walkers, ski tourers but also to meteorological enthusiasts, and even just those who love mountains, great views and the Highlands of Scotland. The potential reach is far beyond the winter mountain sports market, thus the potential rewards for the sponsor is equally huge in scope. Winterhighland is uniquely placed to call on the IT, web design, radio engineering, meteorological and mountaineering skills required to bring such challenging projects to fruition in the Scottish Mountains. This summer we've been upgrading the networking at Glencoe and this autumn will be putting in new networking using Three's HSDPA network on CairnGorm Mountain to ensure an even more robust webcam service this winter. The all new Winterhighland Directory will go live in advance of December for the 2014 winter season. The directory is a unique low cost, high impact promotional opportunity for businesses that directly serves Scottish Snowsports. Accommodation providers, gear shops, gear rental, ski schools, activity providers, restaurants the Directory is for you and is strictly limited on a first come first served basis. All entries are £129 for 1st December till 31st May,including 240px wide photo or logo + text. or call 0845 625 1973 to book your entry for just £129. Banner Advert rotations sold on a seasonal buy-out run from 1st December till 31st May of the following year , though earlier start dates may be agreed on prompt payment of advertising fees, subject to availability of advertising space. Payment must be made in full prior to any advertising campaign going live on Winterhighland. Snow Reports include our General Situation overview alongside the Official Resort Reports. Winterhighland can not be held responsible for the unavailability of Official Reports due to issues outwith our direct control. Winterhighland is able to directly update report pages on a daily basis locally on our server, should official reports be unavailable for any reason. Advertising artwork should comply with IAB standards for the Universal Ad Package units. Flash or other rich media adverts which degrade user experience by excessive CPU usage or cause users to experience browser or system instability are not acceptable. We strongly recommend that artwork be provided at twice the advert unit resolution to ensure sharp high impact adverts on newer double density displays such as Apple's Retina Displays. Full terms and conditions for Advertising on Winterhighland available on Request.